They Broke the Mold! This Ohio commemorative quarter and the DOPO form were both minted in 2002. In Toki v. Toki, we have a case wherein the parties’ divorce, in 1994, actually precedes the creation of the Division of Property Order (DOPO) form established under ORC § 3105.90, in 2002. Even if I wasn’t writing this while preparing what is probably the greatest presentation on Division of Property Orders of all time (an admittedly low bar), I’d still be talking about DOPOs in this update. The last few months of case law have been saturated with opinions and decisions concerning DOPOs and Ohio public employee benefits. You might even say we have a plethora. But, like an attorney selecting the form of benefit on the Ohio DOPO form: we have to choose. So, Toki it is. A 1994 Amended Referee’s Report awarded Wife $53,531.48 of Husband’s OPERS pension. Recognizing the Report’s failure to consider interest on the fixed amount through the date Husband retired, the trial court subsequently ordered a recoupment formula, granting Wife half of a coverture fraction, applied to each of Husband’s forthcoming monthly or lump sum benefits, plus interest. Unfortunately for the parties, or at least Wife, back in 1994, there was no means for them to effect this assignment by directing OPERS to make the payments to Wife upon Husband’s retirement (i.e., no DOPO). In 2002, coincidentally the same year the DOPO was first being introduced to the world, Husband retired and remitted $20,000.00 by personal check to Wife as a partial settlement of her interest in his pension. Nothing further occurred until 2017, when -apparently spurred in part by a testy exchange between Husband and Wife’s current spouse- Wife filed a Charge in Contempt and Motion to Construe Decree of Divorce in attempt to collect the remaining amount of her interest, which were both the subject of this appeal. Normally I’d pause here to talk about Ohio public retirement awards being ‘if, as, and when,’ and the problems you’ll run into if you try to make a lump sum dollar amount assignment, and so on… but I’ll be doing that in just a few weeks! And, honestly, when you add the fact that this is a pre-DOPO award to the mix, it’s just too much discuss in one blog post. So, we’ll move on, because there’s one more piece to this case that deserves at least brief discussion here. The Court determined that Wife’s (only 15 years in the making) motion for contempt was barred by the doctrine of laches. However, the Court didn’t throw out Wife’s claim to Husband’s OPERS benefits altogether. Wife’s collection of her monetary judgment, for the original definite amount set forth in the 1994 order, and the extent to which laches may also apply, was remanded back to the trial court. The Court found that while laches could not apply to the monetary judgment itself under Ohio law, the trial court could make a determination as to whether laches applied to payments Husband already received. Now, before you start muttering to yourself while calculating interest on a 1994 judgment, remember that we have the DOPO now, which could have obviated this entire post-decree headache. The good news is that this case may be regarded merely as vestige of the agonies in the pre-DOPO era. And yeah, I get the irony. Remember when I told you we had a plethora of cases? There’s just not enough time to give some of these the attention they deserve here (though I’m not saying I won’t eventually), so I’ve included links to them below, adding some key search terms. Enjoy! When you think spring, what’s the first thing that comes to your mind? New beginnings and de novo review? Award terms as clear as a morning sky in May? If either of your answers were “no,” let my latest Kentucky Case Law Update get you into the proper spirit of things. In Ross v. Ross, the Court of Appeals reminds practitioners for the umpteenth time that clear and unambiguous agreement terms… get clear and unambiguous interpretations. The parties, who were both receiving retirement benefits when the marriage was dissolved, sought to equalize their respective monthly incomes by assigning Wife a share of Husband’s benefits via QDRO. After some back and forth regarding the terms of the QDRO, the parties reached a second agreement providing for interim maintenance payments to Wife, and, importantly, expressly outlining that such payments were to be provided in lieu of future payments to Wife, not in excess. Not long after she began receiving payments from Husband’s benefits, however, Wife requested (and was denied in family court) the retroactive award of such payments from the date they were first awarded her under the parties’ first agreement through the date they ultimately began. The Court of Appeals affirmed, providing a nice refresher for the standard of review of a trial court’s interpretation of a settlement agreement, and stating that even if Wife’s share of the benefits were to exceed the maintenance payments she received, “[n]either agreement contains any provision which would require any additional monies in excess of the require [sic] maintenance payment”. But, if you’re too busy to open up the windows a little to let this Opinion blow the dust from your understandings of agreements, terms, and their interpretation in the Commonwealth (and you thought I was done with terrible spring metaphors), I’ll just repeat what I said earlier to give you a rough idea: clear and unambiguous agreement terms yield clear and unambiguous interpretations. On the other hand, ambiguous terms leave room for even the most dubious attempts to get a second bite of the chocolate bunny. If you’re a family law attorney in the Cincinnati metro area, there’s a good chance you’ve dealt with a client or spouse of a client who has accrued benefits under either the Kentucky Retirement Systems (KRS), or the Kentucky Teachers’ Retirement System (KTRS), and you’re no doubt aware of the current uncertainties (merited and otherwise) surrounding their future form and amount(s). That same uncertainty has spurred some public employees who participate in these plans to retire earlier than they might otherwise have planned, rankling others who feel they’re “gaming the system,” or “double dipping.” Two Former (and likely to be newly re-elected, this fall) County Prosecutors have found themselves under unexpected scrutiny, and the scapegoats of some Kentucky Legislators (for whom there might be some convenience in highlighting the $60-odd thousand yearly pension of a few individual members, in lieu of the greater systems’ $64 billion in unfunded liabilities, and the stalled reform thereof), for commencing their own pension benefits and running for likely re-election to the same office they vacated to commence them from. In the event either former County Attorney Bobbi Jo Lewis or former Commonwealth’s Attorney Laura Witt return to the offices they retired from, they would draw a salary while receiving pension benefits for their previous service and participation under the Plan(s). From their perspectives, these attorneys are just making a choice they’re entitled to make, regarding benefits their years of service have entitled them to take. And both cited the uncertainty of ongoing (currently stalled, pending a State Supreme Court ruling on the Governor’s Appeal of the state Attorney General’s successful suit to block the already watered down, but still controversial, Senate Bill 151) reform efforts, as or among their primary reasons for doing so. And, since both are running unopposed, the prospect of their receiving both salaries and pension benefits, come January, seems assured. In your own practice, you may have encountered clients whose individual benefits, either as Plan Participant or Alternate Payee, seem uncertain at present (whether for real or perceived reasons), which can spell trouble for and complicate property settlement negotiations. And, as Attorneys Lewis and Witt’s examples make clear, individual circumstances and considerations are unique to every plan beneficiary. While the current, pending legislation reserves most of its effects for future employees, or those whose benefits in the systems are new or otherwise limited, any negotiations concerning or offsetting individual benefits under the (potentially) affected retirement systems should be done with full cognizance of all prospective changes thereto. Or, if neither the parties nor counsel(ors) wish to navigate the full text of Senate Bill 151 to deduce the exact effect and extent thereof such reform may have on a party or parties’ prospective benefits, you may find that the safest, most assuredly equitable solution is to avoid any offsetting of (potentially) affected benefits entirely, and to instead divide the benefits or portion(s) therein between the parties via… you guessed it: QDRO. Be sure to check back for updates leading up to Governor Bevin’s September 20th Kentucky Supreme Court challenge, or read more about previous iterations and developments of Kentucky's pension reform on our blog, here. More recently, we have Normandin v. Normandin, Nos. 13-CI-00741 & 2016-CA-000392-MR (Ky. App. 2018), my summary of which is further below, regarding unvested restricted stock options. This case, Cobane, involves a unique fringe employee incentive program: Husband, in-effect, vested on a multi-year schedule, in a series of employer “loans” (to the tune of about a million bucks), toward which he made “payments” showing up as income on his paychecks, but which actually represented forgiven amounts on said loans. There were a total of 5 such loans, maturing over a period of 9 years, to be forgiven at various intervals. Were Husband to separate from employment at any point during that time, he would be required to pay back any loans not yet forgiven. At the time of trial, Husband testified the outstanding loan balance was a little less than $500,000.00. Husband argued the outstanding balance was nonmarital as it represented unearned income, vesting post-decree. Husband relied upon Holman v. Holman, 84 SD.W.3d 903 (Ky. 2002), for the position that benefits that replace future income are nonmarital. Wife countered that at least a portion of the outstanding balance was marital, to the extent of coverture. In other words, if the loans -treated collectively- were forgiven over 9 years, or 108 months, and 70 of those months overlapped with marriage, then 65% of the loan balance was forgiven during the marriage, resulting in marital property, and 35% would be forgiven post-decree, resulting in Husband’s separate property. The trial court agreed with Wife, and entered an order requiring Husband to make direct, incremental payments to Wife, as the loans were incrementally forgiven. Husband appealed. This is where I can pick back up and follow the Court’s reasoning, though it is still a very thin line for me: unlike the restricted units in Dotson, Husband’s right to the loan proceeds did not accrue until the loans were forgiven. The critical determinative fact seems to be that the loan forgiveness (infer ‘right to participate’ in the loan forgiveness program?) arises post-decree; thus, the outstanding balance as of that date must be nonmarital. Or at least so says the Court of Appeals in this case. As discussed in my blog post below, where Normandin is a vesting cluster (due to the Court of Appeals’ mixed messages with regard to restricted options and units, at least in my humble opinion, through the cases discussed), Cobane -to me- stands for an important proposition: ‘Vesting cases’ will continue to turn on subtle facts (and unfortunately may look much like a coin toss), especially the more unique, creative, and sophisticated employee incentive programs become. What does “marital portion” mean in Kentucky? Not much help? Yeah, not to the Kreimborgs either. Husband’s 401(k) had a value at marriage of about $35,000.00. By August, 2015, the value was upwards of $79,000.00 (and spread between multiple accounts). The increase in value was clearly about $44,000.00. What was not so clear, however, was whether the retirement account increases were entirely or partially Husband's, based on the premarital balance, or whether, pursuant to the parties’ agreement, Wife was entitled to half of the increase in value during the marriage. After a procedural game of ping-pong, the trial court ultimately determined that by way of KRS 403.190(2), Wife was only entitled to a proportion of the increase in value, not half of it, as she argued would have been required by the agreement. Great! Now the Kreimborgs can get some rest. But wait! Not so fast. The Court of Appeals remembered a little something called KRS 403.180, which governs the enforceability of written separation agreements. Under KRS 403.180, property disposition provisions contained in agreements, such as the Kreimborgs’, are binding upon the court unless they are unconscionable. The Court of Appeals aptly noted that not only are property settlements binding under KRS 403.180, but they also trump other law, including KRS 403.190. Remember: parties are generally free to contract around the law regarding marital property dispositions. See Gentry v. Gentry, 798 S.W.2d 928, 934 (Ky. 1990). So, the agreement wins! But can the Kreimborgs sleep yet? Not yet, the Court has yet to tell them what the agreement -and marital portion- actually means… oh yes, that again. “Paragraph (6) of the Agreed Order contains only two lines, the first of which reads, ‘[t]he parties shall equally divide the marital portion of all retirement accounts effective August 31st, 2015.’ This line explicitly includes all retirement accounts. It does not exclude premarital retirement accounts. It also requires the ‘marital portion’ to be equally divided. This is particularly significant because the second line of the paragraph defines ‘marital portion’ as ‘that portion accumulated from the date of the parties’ marriage until August 31st, 2015.’ The provision’s reference to the ‘portion accumulated’ is not inherently limited but refers to the overall increase in value of any retirement account. Accumulation may occur as a result of ‘continuous or repeated additions, ... profit accruing on sale of principal assets, or increase derived from their investment[. ]’ Accumulations, BLACK’S LAW DICTIONARY (6th ed. 1990). With that, the Court found that Wife was entitled to half of the disputed accumulations during the marriage, versus a much more limited proportion, as Husband had hoped. So, at least Ms. Kreimborg can get some sleep now. A settlement agreement is a powerful drug. It can’t be said enough, be precise with settlement agreement language. Take the time to say exactly what is intended. Then you will be able to sleep at night too. In this case, Husband’s Restricted Stock Units (RSUs) were earned at his employer’s discretion, based on his prior year’s performance, and were subject to certain restrictions, including a three-year vesting schedule. As you might have already guessed, that schedule is the crux here. For added impact: Husband’s RSUs were valued at $220,000.00, and vested only 18 days after the conclusion of trial. After spending much alone-time with this Opinion (yes, I know how to have fun! ), I have decided it may be of less value, at second blush, than it might otherwise seem based on its conclusion that Husband’s unvested RSUs were not marital property. McGinnis keenly observed the critical distinction realized by the Poe Court in reconciling prior case law deeming unvested benefits a mere expectancy: vesting in one's pension benefit versus vesting in one's right to participate in the pension plan itself. Poe determined the 'right to participate in the plan' was key to resolving any marital property interest in the pension benefit, notwithstanding whether a participant also had a vested 'right to payment' of the pension benefit. Poe and McGinnis were the primary Court of Appeals cases Wife relied upon in support of her argument that Husband’s unvested RSUs should be considered marital property. Thus, it is of no small significance that -as part of its basis for ruling against Wife- the Normandin Court miscited and/or misunderstood McGinnis' reliance on Poe. Beyond that, the Court posited a statement, wholly unsupported by state law, and which I am unable to reconcile with federal law: “[P]ensions are a less speculative benefit mechanism, and the employee has a right to the benefit before it is fully vested.” Unless we are talking about a contributory pension (where the employee makes their own plan contributions, which amounts would be vested), employees do not have any right to their unvested pensions. See 26 USC §411. Rather, employees have the right to participate in the plan, by virtue of their continued employment, in hopes of ultimately becoming partially or fully vested. See Poe v. Poe, 711 S.W. 849, 855 (Ky. App. 1986). This is a huge distinction, and pivotal to the rationale relied upon by the Poe Court in overturning years of case law otherwise determining unvested property rights to be mere expectancies too speculative to be considered divisible marital property. I am also of the opinion that the Court did not convey the full extent to which Penner v. Penner, 2011-CA-002238-MR, 07-CI-504079 (Ky. App. 2013), is relevant to the instant case (Penner is another case cited by Wife in support of her argument). This Court simply discounts Penner as a case about “double-dipping,” stating, “The Penner court did not direct the trial court on how to resolve the duplicative use of RSUs in its calculations. Therefore, Penner is not instructive on whether the court should have classified the RSUs at issue as marital property.” I agree that Penner is about “double-dipping,” but I disagree that the Penner court did not direct the trial court on how to resolve its duplicative ruling. I quote directly from Penner: “Therefore, we vacate … and remand for instructions that the trial court equally divide the stock upon vesting and not include the stock as income to either party, treat the stock as income to Tom upon vesting instead of marital property, or divide the stock upon vesting and attribute half as income to Lane and half as income to Tom.” Albeit, Tom didn’t argue that the unvested RSUs should not be considered marital property, but at the same time, this sounds like an absolute direction to the trial court from the Court of Appeals. At this point, I might spend more time discussing Gallagher v. Gallagher, No. 2012-CA-000671-MR (Ky. App. 2013), the notably unpublished case this Court ultimately hung its hat on. However, instead, I shift my focus to Duffy v. Duffy, Nos. 2016-CA-000983-MR & 2016-CA-000995-MR (Ky. App. 2018), a recently published Court of Appeals case (which I’ve blogged about). In Duffy, among other things, the Court visited relevant case law regarding Restricted Performance Units, “RPUs” (for purposes herein, RPUs and RSUs are nearly identical insofar as a marital property analysis is concerned), and marital property rights, including Gallagher, and determined that: “[i]n reviewing the case law on the issue, culminating with Dotson, we are of the opinion that the trial court correctly held that RPUs were marital property.” Dotson, the cited case, extensively reviewed Gallagher as well, and declined to agree with Gallagher’s characterization of RSUs as entirely speculative. Duffy instead sided on the sound reasoning of both Poe and McGinnis. Remember, Poe and McGinnis were both cited by Wife in this case, as discussed above, and both were dealt away in a problematic manner by this Court, as also explained above. The real rub here is that Duffy (heard by a different bench) was published after the briefs in Normandin were filed, even though the Duffy Opinion was ultimately issued before Normandin. Thinking about that, I looked on the Court of Appeals and Kentucky Supreme Court websites just today, and it appears Wife still has few days left to seek review by Supreme Court (notably, Wife motioned the Court for a rehearing, but her motion was recently denied). But I also wonder, based on the revelations in Duffy, and for the many other reasons I’ve noted above, how much precedential value Normandin will have. There are slight distinctions between Gallagher, Duffy, and Normandin that might be finessed in presenting your own cases in settlement or trial. Unless or until there is a cogent answer, and in order to best advise your clients regarding potential outcomes when dealing with restricted stock options or performance units, you must review each of the above cases, and note the subtle differences in each of the incentive program offerings. A Motion for Discretionary Review is now pending at the Supreme Court of Kentucky (motion filed 8/24/2018). You can bet your bottom restricted unvested dollar I will be watching this closely. Husband participated in a Thrift Savings Plan, TSP, essentially a 401(k) for federal government employees. Husband presented evidence of investment growth on his pre-marital portion by way of uncontroverted, expert testimony on that issue. The growth was significant, due in part to the long-term marriage (18 years): approximately $120,000.00. The trial court ignored the testimony and restored to Husband only his initial pre-marital balance of about $94,000.00, without any crediting for the subsequent investment growth. The Court of Appeals remanded to the trial court, finding Husband was due the increase in value on his pre-marital portion. Not so easy for Husband was proving his marital interest in several IRAs. The trial court found Husband did not meet his evidentiary burden to trace/establish nonmarital contributions. See Sexton v. Sexton, 125 S.W.3d 258, 266 (Ky. 2004). That isn’t so interesting, it happens all the time. (In fact, for a recent case, check out Duff v. Duff, Nos. 14-CI-503285 & 2016-CA-001759-ME.(Ky. App. 2018)). However, what is interesting is that in this case the Court cited to Maclean v. Middleton, 419 S.W.3d 755 (Ky. App. 2014), observing, “[w]here the party claiming the non-marital interest is a skilled business person with extensive record keeping experience, the courts may be justified in requiring documentation to trace non-marital assets into marital property.” Oh wait, did I mention Husband was an attorney, and had been for 49 years?! You can probably guess the ending here. The Court of Appeals affirmed the trial court. The final issue raised by Husband concerned the trial court’s award to Wife of survivor benefits related to his federal pension. Note: the Barr case does not explain under what circumstances and to what extent Kentucky law may require or permit surviving spouse protection, as part and parcel of the marital pension benefit, and/or as part of an equitable and fair division of the marital property interest, itself. Here, Husband simply took issue with the trial court’s order that Wife be awarded full survivor benefits, and argued that instead, she should only have been awarded such protection to the extent of her assigned interest in the pension, or 42%. As is a commonly voiced concern, in my experience, Husband wished to reserve his right to provide for a future spouse (and widow) the remaining interest, or 13% (the maximum survivor benefit under CSRS is 55%). Of note, there are several Ohio cases, and other out-of-state cases, touching the issue of excess survivorship. Some treat the tail as a marital gift, some as a distributive property award, and some -as here- as spousal support. Some courts attempt to ‘equalize’ the tail with other marital property, in cases where survivorship has already been elected during the marriage, and such election is irrevocable. Under similar circumstances, there is at least one Kentucky case, of which I am aware (and blogged about at the time, wow, almost 5 years ago!) , where such survivorship is treated as a vested property interest when elected during the marriage: “[T]he parties had made a joint decision during the marriage to economically protect Carla should Tom predecease her.” See Gogan v. Gogan, Nos. 10-CI-01600, 2012-CA-001634-MR, (Ky. App. 2013). Interestingly, in Gogan, an unpublished case, the Court declined Husband’s invitation to view the survivorship benefit granted to Wife as an inappropriate and indirect form of permanent maintenance, and instead sided with Wife that the court properly awarded the survivor benefit as marital property. There are obviously many ways to approach survivorship, but the most important thing is to address it when negotiating settlement, or at trial. Especially if you represent the non-participant spouse. Particularly with federal civil service plans, under certain circumstances, you only get one bite at the apple, and if survivorship isn’t awarded in the original property settlement agreement, it can’t be awarded later. This can have a devasting, long-lasting effect. "It is axiomatic that a party may not “feed one can of worms to the trial judge and another to the appellate court.” Kennedy v. Commonwealth, 544 S.W.2d 219, 222 (Ky. 1976), overruled on other grounds by Wilburn v. Commonwealth, 312 S.W.3d 321, 327 (Ky. 2010) (citations omitted))." Yeah, I know. You are welcome! For More Kentucky Case Law Updates, check out my last installment, here. This case provides a broad point, which cannot be overstated, as well as two minor points, which don’t require much explanation. "A trial court has broad discretion when considering retirement benefits; flexibility is necessary for the court to make an equitable decision based upon factors relevant to the situation before it.” Id. “When distributing retirement benefits in a divorce, a “trial court must apply its discretion based upon the circumstances of the case, the status of the parties, the nature, terms and conditions of the pension or retirement plan, and the reasonableness of the result.” Hoyt v. Hoyt, 53 Ohio St.3d 177, 179, 559 N.E.2d 1292 (1990). Further, the trial court must attempt to accomplish two goals: (1) preserve the value of the retirement asset and (2) disentangle the parties' economic affairs to bring finality to the marriage. Id." For qualified ERISA defined benefit plans, such as the traditional pension discussed in this case, a spouse must provide written consent, or a waiver, for the participant to receive his/her benefit in any form other than the plan’s normal form of benefit, usually a spousal 50% Qualified Joint and Survivor Annuity. In this case, Husband did just that. But that is all Husband did. As the Court aptly noted, by a simple look at the four corners of the consent form itself, Husband’s consent to Wife electing a single life annuity did not also act as a waiver of Husband’s marital interest in Wife’s pension during Wife’s lifetime. Rather, Husband’s consent only applied to his waiver of survivor benefits in the event of Wife’s death. "Ohio courts have recognized several methods for the equitable distribution of a spousal interest in a pension fund. 46 Ohio Jurisprudence 3d, Family Law, Section 444. One such method is to “[d]etermine the present value of the fund, calculate the nonemployee spouse's proportionate share, and offset that amount with other marital assets or with a lump sum payment or installment payments from the employee spouse.” Id., citing Sprankle at 132." In this case, Wife did not argue that an immediate offset should not apply to the marital pension; Wife’s argument was that her lifetime should not be the measuring life for the pension valuation. However, Wife provided no expert or law to support this position. Husband’s expert testified that since this was -after all- a single life annuity based on Wife’s lifetime alone, a valuation based on her lifetime only made sense. The trial court agreed, and the Court of Appeals found no abuse of discretion. There is a lot here, as evidenced by Husband’s 9 (yes, 9) assignments of error. The Court rejected all but one: citing his lack of supporting documents/arguments/expert witness in doing so. The issue the Court remanded back to trial court concerns the utilization of a hypothetical rate of return in determining the marital/non-marital portions of a defined contribution account. Husband argued the trial court abused its discretion by creating a hypothetical rate of return based on judicial notice of randomly selected index funds, instead of actual account history. The trial court established a ‘starting balance’ for Husband’s account, designating such balance as his separate pre-marital funds. The trial court also established a ‘marital balance’ based on amounts deposited during the marriage. Using the S&P 500 index, the trial court determined the annual returns for each year of the marriage, adding such amounts to the marital balance. The trial court then divided the total marital balance in half. The Court of Appeals duly noted Husband’s burden under state domestic relations law to establish by a preponderance of evidence the portion of appreciation in his account to be deemed passive and separate. In this case, there was not so much a problem with Husband’s position (that the hypothetical rate resulted in an arbitrary calculation, compared to the rate actually earned), but rather, that Husband’s “proof” was “very scanty.” For instance, Husband provided his own spreadsheets, but no underlying data. The Court duly noted that the issue, then, was whether the trial court correctly resolved the insufficiency of Husband’s evidence by utilizing a judicially recognized rate of return. The Court surveyed several cases where judicial notice was taken of various investment rate sources (i.e., Treasury bills, CDs, etc.) to affect various assets and obligations. The Court then found that these cases, together, stood for the principle that judicial notice is generally appropriate for the purpose of calculating past rates of return or interest rates, except in situations that are too speculative, or when there is no reasoning of the court provided. On this latter basis, the Court determined that the trial court erred in its judicial notice of the S&P 500, notwithstanding its recognition that other courts have taken similar judicial notice. It reasoned that the trial court -unlike courts in other cases- did not explain why it chose the S&P 500 over any other method of calculating appreciation. When dividing marital defined contribution accounts (401(k)-type plans), you must always address market growth as part of the agreement or trial order. All things being equal, parties typically share market growth (including investment gains and losses, interest, dividends, etc.) proportionally to their assigned interests in the marital account until the asset is divided under a QDRO, DOPO, or similar order. There are exceptions to this general rule. In one such instance, where Husband deposited Wife’s stipulated share of 401(k) funds into a stable value fund, and subsequently realized substantial market appreciation on his remaining funds (after the agreed valuation date and through the date Wife’s share was finally segregated into an account in her name), the trial court did not abuse its discretion in not allocating any such appreciation to Wife. See Sieber v. Sieber, 12th Dist. Butler Nos. DR12-09-1083, CA2014-05-106, CA2014-05-114, 2015-Ohio-2315. Similarly, in this case, the Court determined by strict reading of the parties’ agreement that it just didn’t provide for such allocation. Let me be clear: the law is perfectly clear about being unclear. With respect to retirement accounts, there is no controlling legal authority directing that any appreciation or depreciation in account value between the date of judgment and the date of account segregation be shared -equally or otherwise- between the spouses, or that directs that such gains or losses go to one spouse or the other. Rather, the issue is left to the discretion of the trial court. See Cwik v. Cwik, 1st. Dist. Hamilton Nos. DR-0700706, C-090843, 2011-Ohio-463 ¶73-76. In this case, the non account-holder spouse’s arguments to have a QDRO entered to include what amounted to about $220,000.00 of gains on her portion of the equalized accounts, after the valuation date, were rejected by the Court of Appeals. In its Opinion, the Court found that any such QDRO would be an impermissible modification of an unambiguous decree, stating instead that Wife was only entitled to an equalization of the accounts valued as of May 1, 2012 (the valuation date as set forth in the decree). The Court observed that there was no mention that Wife was to also receive an equalization of amounts appreciated through the date a QDRO was finally entered, and her accounts were finally segregated into her own name. The Court duly noted that the parties could have agreed to allocate to Wife gains or losses accruing on the retirement assets after May 1, 2012, but did not. The bottom line: always negotiate gains and losses in defined contribution accounts, then include them or exclude them (i.e., specifically address what happens to gains and losses from the valuation date until a new account is established by the Plan for the transferee spouse). Ensure that the parties’ intent is expressly stated in any agreement, or that the court’s intent is expressly stated in any trial order. Otherwise, the actual, transferred amount may be substantially less (or more) than intended, and the chances for correction through the courts a veritable coin toss. This is a long opinion, with the Court expending a lot of ink retelling the facts and procedural background of a 1.2-million-dollar property settlement, paid over a 4-year period. Of interest to me is the issue of tax impacting marital assets, explored throughout (and especially at ¶¶ 62-69). Essentially, Husband attempted to transfer to Wife various tax qualified accounts, and an HSA, all established post-decree, to fulfill his settlement obligations, resulting in potentially stiff tax consequences to Wife that she argued were not contemplated at the time of decree. The Court of Appeals recognized the unfairness to Wife in allowing Husband to utilize such assets, especially to the extent of achieving an equitable division of marital property under R.C. 3105.171. In its Opinion, the Court limited Husband’s transfers to only those retirement accounts in existence at the time of decree, and denied his use of the HSA altogether, since it was not a retirement account as defined by federal law. Always remember what I call the “Killer 10/10” rule when dealing with military retirement benefits in divorce. In short, for DFAS (Defense Finance and Accounting Service) to pay benefits directly to a former spouse by court order, the parties must have been married at least 10 years during “creditable” military service years. See 10 U.S.C. §1408(d)(2). Be very careful here. The Killer 10/10 rule doesn’t say that otherwise, the military benefit is not marital. It simply says that to the extent a state domestic relations court deems it is, DFAS won’t pay it directly to the former spouse. So some other arrangement (offsetting, constructive trust, etc.) has to be made. Repeat: the Killer 10/10 rule only concerns who writes the checks, DFAS or the military service member. In this case, the parties were married 10 years, but as part of a consent judgment entry, agreed to a term marriage of only about 6 years. After some delay, Wife realized this would not be sufficient for DFAS to comply with a state domestic relations order (see above). Wife brought a Civ. R. 60(b) motion on this basis, in part to extend the term of marriage to its actual 10 years, which the trial court granted. Husband’s appeal thereof was then rendered essentially moot, when, after reviewing applicable law, the Court of Appeals determined that Civ. R. 60 did not/need not apply, because, in this case, the trial court had specifically retained jurisdiction regarding the QDRO in its Entry, subject to local rule. Moreover, what should be questioned is the propriety of any court giving sanction to such a manipulative scheme. This case just leaves me shaking my head. The trial court was supposedly dividing a military pension, and determining survivorship rights thereunder. However, Husband cited law relevant to the federal employees/civil service retirement systems (e.g., 5 U.S.C. §8341(H)(4)), and the Court of Appeals seemed to be listening. Please note, controlling law concerning the division of military benefits in divorce is found under the Uniformed Services Former Spouse Protection Act at 10 U.S.C. §1408. Thankfully, the Court of Appeals didn’t lie on the sword of any alleged controlling federal law, and instead determined the question itself was not ripe for review, as there was not yet a genuine controversy at issue. These QDRO pretzels are making me thirsty! Separate Property Claims? Yours = your burden. You’re welcome. “The commingling of separate property with other property of any type does not destroy the identity of the separate property as separate property, except when the separate property is not traceable.” R.C. 3105.171(A)(6)(b). “The party seeking to have a particular asset classified as separate property has the burden of proof, by a preponderance of the evidence, to trace the asset to separate property.” Eikenberry v. Eikenberry, 9th Dist. Wayne No. 09CA0035, 2010-Ohio-2944, ¶ 19. The burden to prove the separate identity of property can be met with documents or testimony, but “merely claim[ing] that the property * * * constitutes * * * separate property does not make it so.” Eikenberry at ¶ 27-28. The proponent must demonstrate the amount of separate property traced. See Morris v. Morris, 9th Dist. Summit No. 22778, 2006-Ohio-1560, ¶ 26; see also Measor v. Measor, 160 Ohio App.3d 60, 2005-Ohio-1417, ¶ 55 (11th Dist.) (finding funds not adequately traced when proponent failed to provide documentation of the exact amount or source of the funds). Because the determination of whether property is marital or separate is a fact-based determination, we review a trial court’s decision under a manifest-weight-of-the-evidence standard. Morris, 9th Dist. Summit No. 22778, 2006-Ohio-1560, at ¶ 23. When reviewing the manifest weight of the evidence, the appellate court “weighs the evidence and all reasonable inferences, considers the credibility of witnesses, and determines whether in resolving conflicts in the evidence, the [finder of fact] clearly lost its way * * *.” Eastley v. Volkman, 132 Ohio St.3d 328, 2012-Ohio-2179, ¶ 20, quoting Tewarson v. Simon, 141 Ohio App.3d 103, 115 (9th Dist.2001). “Only in the exceptional case, where the evidence presented weighs heavily in favor of the party seeking reversal, will the appellate court reverse.” Boreman v. Boreman, 9th Dist. Wayne No. 01CA0034, 2002-Ohio-2320, ¶ 10." Yup. Couldn’t have said it better myself! The case of the ole’ switch-a-roo: The QDRO preparer (QDRO-or) in this case sues the divorcing party (QDRO-ee). QDRO-or sued QDRO-ee for frivolous conduct under Ohio law, seeking sanctions, attorney’s fees, and costs. The gist is that QDRO-ee claimed that the court appointed expert witness, charged with drafting the QDROs in her divorce matter, prepared such orders inconsistent with the decree, and also ignored her warning letter advising of errors in the amounts distributed under the QDROs as-written. QDRO-ee filed a complaint against QDRO-or for malpractice, breach of contract, and unjust enrichment. QDRO-ee cited damages in the amount of $11,260.20 due to the drafting errors. QDRO-or filed a motion to dismiss, and that same day, QDRO-ee filed a notice of dismissal. Two months later, QDRO-or filed his complaint for frivolous conduct. The trial court denied QDRO-or sanctions, attorney fees, and costs. QDRO-or appealed. QDRO-or argued that the complaint was frivolous for two reasons: (1) QDRO-ee’s complaint was filed outside the statute of limitations for civil actions brought against accountants; and (2) as a court-appointed expert, QDRO-or was entitled to immunity from liability for his work performed related to the divorce and distribution of retirement benefits. QDRO-or’s first argument went nowhere. The Court of Appeals agreed that yes, the “delayed-damage rule” (QDRO-ee’s defense to the statute of limitations claim) ultimately did not apply to such cases, but that, at the time QDRO-ee filed her complaint, the Ohio Supreme Court had not yet settled that question (as it later did in LGR Realty, Inc. v. Frank & London Ins. Agency, 152 Ohio St.3d 517, 2018-Ohio-334). QDRO-or’s second argument also went nowhere. In fact, QDRO-or concedes, himself, that there is no case law in Ohio stating that court-appointed accountants are entitled to absolute immunity for their evaluations and/or testimony in domestic relations cases. Regardless, the Court of Appeals points out that the absolute liability argument is not at issue. At issue is whether the fact that the matter is unresolved gives way to a finding of frivolous conduct. Of course, that very same fact provided the basis for the Court’s decision to sustain the trial court’s decision. Not much overall value here in terms your own practice. But, it sure is a new spin on me… the idea of the QDRO preparer suing one of the divorcing parties. No worries here, I am too busy blog writing to even think about this case much longer, much less sue anybody. Thanks to Greg Adams, Esq. for tipping me off to this one. This comes up a lot, especially on the river. This is because on one side, ‘frozen coverture’ is the case-law favored method to determine the marital portion of a pension for purposes of a QDRO. On the other side, ‘traditional coverture’ is case-law favored (Hello Ohio, and Hoyt v. Hoyt!). The general idea of the former method is that coverture is essentially defined on the date of divorce, whereas the latter method looks at the pension on the date of retirement and divvies out a smaller piece of the bigger pie to the non-pension holding spouse. At the end of the day, regardless of case-law, the parties can agree to whatever method they so choose. This can be done directly by precise meaningful language, or inadvertently with haphazard language. Keller is a case where the agreement had two meanings to two different people… so arguably the inadvertent bucket. The language at issue in Keller stated, “[t]he parties shall divide equally all retirement/employment benefits.” The Keller Court immediately looked to Oberst v. Oberst, 5th Dist. Fairfield No. 09-CA-54, 2010-Ohio-452. Oberst involved potential ambiguity in the parties’ agreement, similar to Keller, in that it stated the pension plan was “to be equally divided by a QDRO.” Oberst concluded that the mere absence of such a division date did not create an ambiguity in the property division. The Keller Court then observed that, while the parties in this case could have agreed to a future date in the divorce decree, they did not. Therefore, the Court held that the divorce decree unambiguously stated that the pension plans are to be equally divided, effective as of the termination of the marriage, on July 31, 2015 (‘frozen coverture’). When drafting, no matter what side of the river you are on, make sure to belabor the details. If you mean to divide the pension by frozen coverture, say it by utilizing a value as of the date of divorce, such as “50% of the marital portion as of the date of divorce, the marital portion defined by years of marriage overlapping with years of credited service as of date of divorce.” If you mean to divide the pension by traditional coverture, say it by utilizing a value as of the date of retirement, such as “50% of the marital portion as of the date of retirement, the marital portion defined by years of marriage overlapping with total years of credited service.” Simply dividing pension plans “equally between the parties,” is not enough to keep you out of the inadvertent bucket. 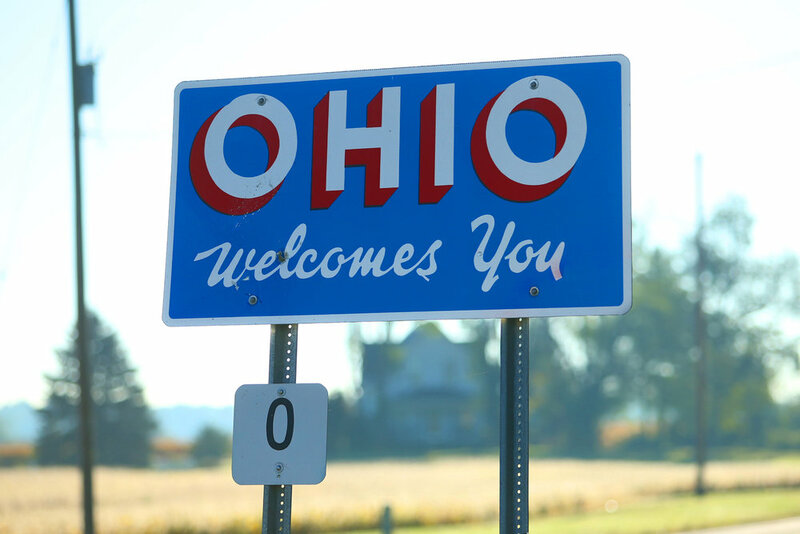 For more Ohio Case Law updates, check out my last installment, here. In just over a week (yikes! ), I'll have the honor once again to speak at and co-sponsor an amazing event put together by an amazing legal community. My friend and colleague, Bob Carroll, and I have put together a wide-ranging presentation that we can't wait to share (though I wouldn't mind a few more days of practice in front of the mirror...). Don't miss it! Revised pension reform bill released and headed to committee in the Kentucky Legislature. After pulling back their original bill and removing, or making more palatable for some, certain provisions related to cost-of-living adjustments (COLAs) under the Kentucky Teachers’ Retirement System (KTRS); the implementation of substitute defined contribution plans, similar to 401(k)s (albeit minus the opportunity for SSDI accruals/benefits, as pointed out in our November blog post); among other varyingly dramatic cost-reduction measures, Kentucky Senate and House leaders released their ‘Proposed Senate Substitute’ (PSS) to Senate Bill 1 this week. The full, 293-page text of the proposal has been made available on the State Legislature’s web site, here. It’s hard to know what might stay or go in this revised version; the original draft legislation was itself the product of untold numbers of revisions in the months elapsed from its announcement to its filing on February 20th. And beyond that: I’m not a politics reporter, I just have a thing for retirement systems. Future clients, who would likely be affected the most by the systemic changes originally included in the plan (more than, say, a participant and former spouse with an already lengthy service record), are likely to keep their defined benefit plans after all, as the switch to 401(k)s appears to have been scrapped due to its unexpected costs. Future clients are not entirely out of the woods, however, as the current bill’s switch to/integration of a ‘cash balance’ formula to supplement (in some cases) and succeed (in others) the Kentucky Teachers' Retirement Systems’ traditional pension formula may necessitate two separate QDROs, in the event of divorce/dissolution, for the two distinct benefit formulas. None of this may matter, as leaders from both chambers are facing substantial pressure from constituents who stand to have their benefits reduced or frozen under the proposals, and to whom appeals for consideration of the state’s enormous unfunded pension liabilities (estimated to be somewhere in the range of $40 Billion) understandably ring hollow. 293 pages is a lot of pension reading, even for me, so I skimmed in both reading and retelling. If you’ve found something within the new text that you think I missed, or would like me to discuss here, or just find interesting and need someone to talk about it with, send me an email and we’ll talk! As soon as things begin to settle, and we can start to form a clearer picture of what changes may be at hand for Kentucky's public retirement systems and their members, I hope to write another update, this time detailing any specific changes which might affect benefits division in a divorce/dissolution. In the interim, Kentucky Retirement Systems (KRS) is providing detailed daily updates on its web page, here, alongside a number of tools which track the bill's progress and the changes made to its provisions. Of additional interest: Kentucky Attorney General, Andy Beshear, released this 6-page letter to the Legislature, arguing what his office deemed were at least 21 instances of illegality within the new bill itself. What's round on the end and high in the middle? QDROs, that's what. We've almost made it all the way through my four-part 'Hammertime' blog series! I don't know about you, but I'm getting pretty exhausted with all this QDRO news, so here's that .gif of MC Hammer dancing again. Let us all look to its perpetual motion, and effortless, unending dance, as a source of strength, and a testament to the boundless nature of human endurance... And endurance you'll need, because we've now entered the final installment of my 'Hammertime' blog series, highlighting some of the most recent and important decisions coming out of Ohio. This is a great case for a refresher course on your favorite thing, coverture! In this case, the decree stated, in part, that Husband’s OPERS pension (payable at Husband’s retirement as a stream of future monthly benefits over his lifetime) should be equally divided by DOPO (Division of Property Order), and that, for purposes of making the division, the marital period was from the date of marriage to the date of trial. The subsequent DOPO, entered by the trial court and signed by both parties, awarded Wife a percentage of a fraction of Husband’s benefits (50% of the coverture fraction, i.e., number of years of marriage overlapping with OPERS participation, divided by total years of service credit). The DOPO did not indicate a limit to the number of monthly payments Wife should receive. Ten years later, Husband claimed that the DOPO should terminate because Wife had, by the time of his motion, received half of the marital portion of his OPERS pension (based on what appeared to be a present day cash valuation he obtained for the term of marriage). Husband further claimed that if the DOPO was not terminated, the trial court would otherwise run afoul of improperly modifying the decree by way of the DOPO. The crux of Husband’s argument was premised on his notion that the decree provided for a fixed value assignment of the marital portion of the OPERS account to Wife, and that this ascertainable amount had been paid. The trial court disagreed with Husband’s interpretation of the decree, and determined instead that a specific value had not been established by the terms of the decree, and therefore, that there had likewise been no improper modification of the decree by way of the DOPO. This opened the door to the Court of Appeals’ full review of the trial court’s excellent analysis distinguishing the methods that a trial court might employ to determine an equitable division of a pension based on either: a fixed present cash value (for an immediate distribution offset with property other than the pension itself); a frozen coverture method (to divide the pension itself at retirement, with a formula and value that are fixed as of date of divorce); or a traditional coverture method (to divide the pension itself at retirement, with a formula that is based on the value as of the date of retirement - the method employed by the DOPO). The differences between the three methods, and what circumstances warrant utilization of one over another could be the basis of a white paper; so suffice it to say for this post, at least, that Ohio courts typically utilize the traditional coverture method, as espoused under Hoyt v. Hoyt. But if you ever get confused, Cook provides an excellent primer. Although this case is concerned more with the adequacy of the security ordered by the trial court to preserve a spouse’s awarded marital property interest ($1.9 million, which was to be paid over a 12 year period), it is hinged on the proposition that a trial court has broad discretion in fashioning its equitable division of marital property. To the extent a trial court deems necessary, as in this case, this may include the discretion to order Husband’s maintenance of a life insurance policy for Wife’s benefit to protect her property interest until fully transferred. The take home here: particularly when assigning an interest in a retirement asset that cannot be immediately realized by the assignee spouse, such as with many non-qualified ‘executive’ plans and certain government and church plans exempt from ERISA (which do not accept QDROs or other state court property division orders), precaution must be taken to ensure the transferee spouse’s property interest is secured. This may be by a term-life policy, or some kind of beneficial interest in the asset itself, such as with a preretirement or postretirement survivor annuity, when available under the plan terms. The parties in this case agreed that the QDROs entered by the trial court deviated from the terms of their settlement agreement. The parties disagreed, however, as to whether this made the QDROs "void" for lack of subject matter jurisdiction (meaning the QDROs were not final appealable judgments, but could be vacated or set aside under the inherent powers of the trial court), or "voidable" for error only, and subject only to appeal for review of the error concerned. The Court traversed a riddled landscape of prior case law within the 2nd and 8th Districts – including review of the dangers inherent in “jurisdictionalizing” error – and determined that the QDROs, which were agreed to be non-compliant with the settlement terms, were not void for lack of jurisdiction, but rather, voidable for error, and appealable. Since the appeals were timely filed, the Court vacated the QDROs, and remanded to the trial court for further review in light of the parties’ agreement. As an aside, noting the potential consequence of its decision, in that often a plan administrator may reject a QDRO long after the time for an appeal has expired, the Court opined that when there was no issue regarding the conformity of a QDRO to settlement terms, but rather an issue arises because a plan administrator subsequently refuses the terms of the QDRO, a Rule 60(B) motion is the appropriate venue for reconsideration. In closing out 'Hammertime' - I can't resist hammering it home with this final gem. The takeaway? Sometimes when you have a hammer, it really is a nail! Thanks to Maury White, Esq. for sharing this from a past IACP workshop. I'm sure to no one's disappointment but my own, we're just going to launch into this third installment of my four-part 'Hammertime' blog series, leaving behind hammer jokes and dated cultural references for now (I'm not promising there won't be any, but you'll have read on to find out). Below please find some of the most recent and important opinions coming out of Kentucky. What do contingency fee contracts have to do with the division of retirement assets? Just about everything, says the Court of Appeals. This case determined the status of contingency fee contracts as marital property subject to equitable division under KRS 403.190(2). In so finding, the Court relied heavily on the analogous treatment of non-vested retirement assets in divorce, under Kentucky law (specifically Poe v. Poe), and a lineage of cases (in and out-of-state) recognizing that certain property interests – such as unvested retirement assets – may be considered marital property to the extent they eventually vest. Contingency fee contracts, like unvested retirement assets, must be treated equitably in divorce, requiring the trial court in this case to “…[focus] on the contribution of the non-attorney ex-spouse to the marriage through work both outside and inside the home.” The Court conceded that this diverges from traditional notions of property law, but found such treatment captures the “modern relationship” between property law and family law. In its holding, the Court further determined, consistent with Kentucky law, that the trial court must apply a delayed-division method and formula to determine the parties’ respective shares of such marital property, if any, at the time of decree. “Double-dipping” might sound delicious if we’re talking Graeter’s, but the legal concept of “double-dipping” is not-so-good. A marital interest is either property or income to be included for support calculations, but it can’t be both. For this reason, the trial court amended its own Findings of Fact and Conclusions of Law, and the Court of Appeals agreed with such amendment, finding no reason that the double-dipping prohibition would not apply both to calculation of gross income and to potential income. Further, the Court upheld the trial court’s determination that Husband’s RSUs were “paid” during the marriage (despite the fact that Husband separated from employment, causing forfeiture of the RSUs), were marital property, and therefore were subject to equitable division. The Court further affirmed that Husband purposely dissipated marital assets, namely the RSUs, after reviewing the trial court record evidencing Husband’s separation from employment was part of a scheme to prevent Wife from receiving any share of the RSU proceeds. This case stands as a stark reminder that a party claiming any non-marital interest in property has the burden of establishing such claim. The Court affirmed the trial court’s assignment of Husband’s retirement account, as well as the trial court’s determination that Husband waived any pre-marital claims to such account. As its basis, the trial court observed that the account, containing pre-marital stocks, was not disclosed on Husband’s Preliminary or Final Verified Disclosure Statements, despite his comprehensive listing of over 70 other assets in which he claimed a non-marital interest. Observing that this seemed like an inadvertent omission, the Court nonetheless respected the trial court’s broad discretion over pre-trial discovery orders, and, while acknowledging that the result was a harsh one, determined that the trial court did not abuse its discretion. If music is the poetry of air, then QDROs are the poetry of my heart. Sure, Husband got to keep the songs he wrote (according to even Wife, Husband was an excellent songwriter), which were found to be marital property, but because they had no ascribed monetary value, they were not subject to equitable division. But whether the loans taken from the parties’ mutual retirement accounts were marital in nature turned out to be a more difficult tune to follow. The Court spent a great deal of time picking (see what I did there?) through the evidence regarding the timing and reasons behind the various loans to determine whether they were taken for marital or non-marital purposes. From an equitable division standpoint, it is important to recognize that a loan taken from a retirement plan is held by the plan as an asset in the balance of the retirement account. Therefore, when the Court considers a division of the retirement account, the loan must be determined – just as the retirement plan itself – to be marital or non-marital in nature prior to establishing an equitable division. After all, the Court noted, if the loan funds had been maintained in the account (rather than being converted to loan proceeds), the funds would have likewise been subject to equitable division to the extent accumulated during the marriage. The final chorus: When there is a loan on a retirement account in a divorce, special attention must be paid as to the timing and use of the loan proceeds in order to properly determine the loan’s status as either marital or non-marital, and to equitably apportion the parties’ liabilities accordingly. "...of a sports fan asked this question: Who is the greatest basketball player of all time: Michael Jordan or LeBron James? He might respond “LeBron James,” which clearly specifies the answer. Or he might respond “Number 23,” which does not clearly specify the answer. But if he responded “Number 23 of the Cleveland Cavaliers,” no one would be confused. The sports fan did not state “LeBron James.” But he did specify him." This case touches upon several circuit-specific themes, including preemption of state law, and the validity of posthumous orders. In this case, a divorce decree itself was deemed to be a QDRO, establishing the divorced couple's child as the legal beneficiary of Husband’s employer-sponsored life insurance policy. This, despite Husband’s failure to change his designation to name the child in compliance with the decree (Husband had instead left intact, through the time of his death, his pre-decree designation of his uncle). The Court found that the proceeds must be paid to the parties’ daughter, pursuant to the terms of the decree-deemed-QDRO, and not to Husband’s designated beneficiary on file with the insurance company (naming his uncle). To reach this result, the Court went through the QDRO requirements under ERISA in detail, and found, under § 1056(d)(3), that the terms of the decree “clearly specified” each of ERISA’s requisites. That's it for this installment of my four-part 'Hammertime' blog series, but keep checking back for my Kentucky and Ohio case law updates, which will follow quite closely after this posting. And who knows? Maybe I'll work in a few more hammer jokes, while I'm at it. A certain Peter, Paul and Mary song, perhaps? "If the only tool you have is a hammer, everything looks like a nail." It is true, I have a QDRO-hammer. 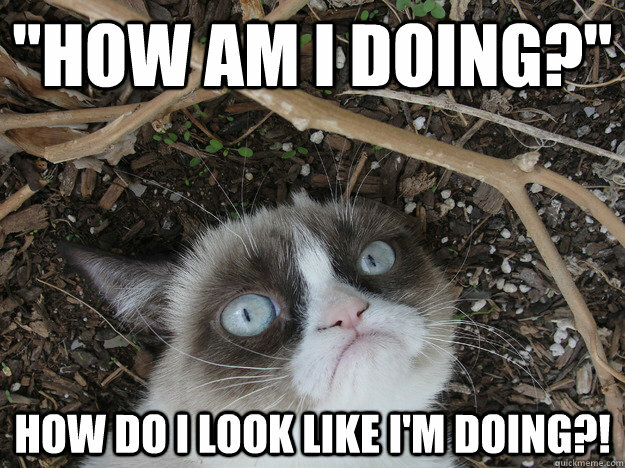 And maybe QDRO-tunnel vision… is it a problem I named my cat “QDRO”? But so much has happened in QDRO-law since my last post that you would think I was making this stuff up, or maybe that the world is ending. Or maybe both. 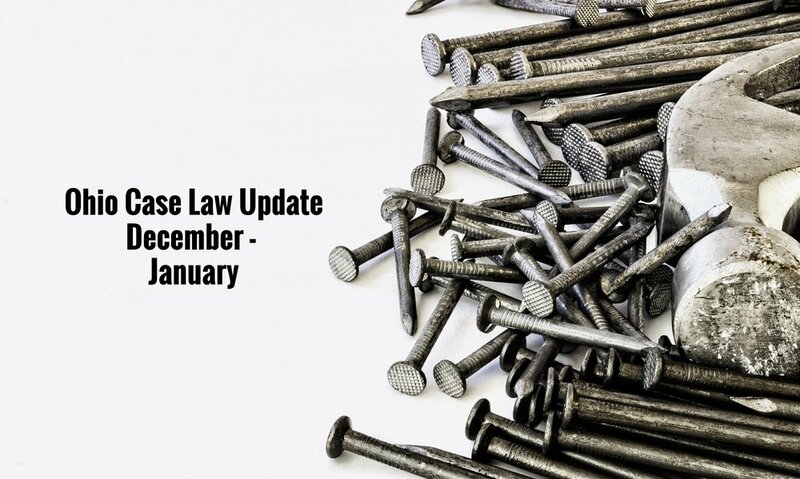 The legislative and case law QDRO-updates in this post and the three to follow have piled up on me since mid-December. At this point, I have post-it notes to cross reference other post-it notes. My note-taking habits aside, this four-part 'Hammertime' blog series is my best attempt to summarize the important QDRO-related happenings that have occurred over the past two months. Let's get to it, then. Hammertime! By now, it is no secret. The Tax Cuts and Jobs Act of 2017 (P.L. 15-97) was signed into law on December 22, 2017. This legislation brings with it significant tax reform, the likes of which has not been seen in decades. The changes will affect individual taxpayers, business owners, and corporations. For family law attorneys, consideration of the sweeping changes to the deductibility of alimony is critical. In short, for couples divorcing or separating after December 31, 2018, receipt of alimony will no longer be considered income to the payee and deductible by the payor (and therefore income used to pay alimony will be taxed at the rates applicable to the payor). Further, agreements or orders executed on or before December 31, 2018, but modified after December 31, 2018, may be amended to expressly provide that the treatment of alimony payments, prospectively, should fall under the Tax Cuts and Jobs Act's tax provisioning. See Section 11051 of the Act (click on the link above, and simply type “11051” into the “find” or “search” field in your browser). There is a lengthy – and dare I say interesting – history surrounding the taxability and deductibility of alimony, with very real repercussions for families. A great article I flagged during the legislative debate can be found here . The article highlights the potential loss of incentives in negotiating alimony, as well as the loss of cash to pay alimony, in some cases, as a result of higher aggregate tax liability. Since I have a QDRO-hammer in my hand, it seems like a good time to point out that, under IRC §§ 414(p) and 402(e)(1)(A) (which are unaffected by the Act), a QDRO assignment for spousal support to an alternate payee who is a spouse or former spouse of the plan participant would still resemble the current tax liability scheme (i.e., taxable as income to payee, not taxable as income to the payor). Keeping in mind the “Recapture Rule” under IRC § 71(f) (which I believe faces uncertainty in the near-future, despite being also unaffected by the Act), QDROs have the potential to re-establish negotiation opportunities for alimony that will be otherwise cut off starting in 2019. Rest assured that this is an area of continued interest to me, and I will keep sharing (and sharing, and sharing…). Special "Shout Out" to Cleveland Wilson for his help in compiling the QDRO case-law updates that made 'Hammertime' possible. Nothing says "thank you" in November like a QDRO blog update. So mooooove over turkey leftovers, and make room for an extra helping of QDROs: Always delicious, nutritious, and pairs well with a red! The parties' 2013 decree left unresolved the division of certain contested separate property claims, which remained unresolved at the time of Husband's death in 2015. At issue was the burden of proof for establishing a claim of separate property (in this case, the traceability of a jointly held investment account), as further complicated by the commingling of said separate property. The trial court assumed probate administration, to avoid conflict with the divorce proceedings, and eventually Wife filed this appeal. Setting aside the testator/estate as party to a divorce aspect of this case -- which is deserving of discussion and reading unto itself -- readers may find the decision interesting for its overview of Ohio case law and examples of what is generally deemed an acceptable level of evidence to establish a separate interest claim in otherwise marital property. In this matter, Wife was overruled regarding her argument against Husband’s non-marital interest in a joint investment account. The Court of Appeals agreed with the trial court that the divorce did not abate at Husband’s death, and that Husband had sufficiently established that a portion of the parties’ joint investment account was funded by his own inherited investment account, such that the inherited portion should be awarded to Husband, and the balance divided by the parties. Husband argued that the trial court erred in its consideration of Husband's Social Security benefits as part of the determination of marital property rights. First, Husband argued that since his Social Security benefits were itemized and valued in the court’s 'list' of the parties’ marital retirement benefits, Wife’s Social Security benefits should likewise have been valued and made part of the list. The Court of Appeals observed that the trial court record was deficient as to Wife’s Social Security benefits, and therefore, the trial court’s failure to consider evidence not in record was not abuse of its discretion. The Court of Appeals agreed with Husband that the trial court’s order to 'equalize all retirement benefits' was ambiguous and could be construed in such a way as to inappropriately consider Husband’s Social Security benefits for purposes other than as permitted by R.C. § 3105.171(F)(9). In remanding for correction, and directing that the trial court order should be construed to include Husband’s Social Security benefits solely for purposes of dividing Wife’s public retirement system benefits, the Court relied upon a lineage of Ohio cases recognizing that ambiguous court orders often require interpretation by the same or another court. On October 18, 2017, Governor Matt Bevin and state Republican leaders unveiled a plan that transitions Kentucky Retirement Systems’ traditional pension plans and hybrid ‘Cash Balance’ plans into Defined Contribution Plans for all newly enrolled (and many current) employees. If the bill passes, substantial changes will be made, impacting participant benefits, retiree healthcare, disability, and death benefits. “Houston, we have a problem.” This is the essence of Priest v. Priest. Priest involves the division and assignment of a military pension in divorce, and you may remember it from the first time it came through the Court, in 2015, wherein the Court remanded back to the trial court for findings consistent with Poe v. Poe, 711 S.W.2d 849, 850 (Ky. App. 1986), and Snodgrass v. Snodgrass, 297 S.W.3d 878, 890-891 (Ky. App. 2009). See my prior blog post at: http://www.ezlawpllc.com/blog/2015/5/17/qdro-catch-up-case-law-legislative-updates-in-ohio-kentucky. I am excited to announce that the Law Office of J. Eileen Zell, PLLC, has moved to a new office in a recently renovated building in the East Row Historic District of Newport, KY.
Can't wait to see you for lunches at Pompilio's, dinners at Katharina's, and of course happy hours at the Prohibition Bourbon Bar. I am honored to be presenting the topic of QDROs on March 15th to the Fayette County Bar Association's Domestic Relations Section. Thank you to Susan Moussi and the Central Ohio Academy of Collaborative Divorce Professionals [COACDP] for inviting me to 'talk QDROs' (while you tried to digest your lunch) today in Columbus. Your group has a lot of exciting projects in the mix, and as a fellow collaborative member of The Cincinnati Academy of Collaborative Professionals [CACP] and The Academy of Northern Kentucky Collaborative Professionals [ANKCP], it was an honor and a pleasure to meet with you. Such a welcoming (...and forgiving, you know what I'm talking about...) group of professionals. I am excited to talk QDROs with the good folks at the AAML Ohio Chapter Harold R. Kemp Family Law Symposium this year in Columbus. I will be presenting an 'early bird' (cage-free!) CLE session between 6 and 7pm on Sunday, October 9th, before the Symposium officially kicks off the following Monday morning. Something's gotta give . . .
After much deliberation, I am writing to share an important scheduling update I have just implemented for all new and pending projects for the remainder of 2016. For those of you that don't know (although it is hard to imagine you could have missed my bragging), I am authoring a first edition QDRO Portfolio that will be published as part of the nationally acclaimed Bloomberg BNA Tax & Accounting Series (379-1st T.M., QDROs and Similar Assignments of Income/Retirement Assets (working title)). Bloomberg BNA is a leading repository of legal and regulatory information, so as you might imagine, I am excited to partner with such an esteemed organization. However, despite this awesome chance to swim with the big fish, this is a professional endeavor I undertook with much angst, recognizing the immediate impact it would have on my daily practice. However, for both our sakes, I could not pass up the opportunity to further hone and establish my legal niche, and with your patience, I can promise some real fun on the witness stand once I am published. Without question, working on this treatise for the past year or so, while maintaining my practice, has resulted in an inevitable delay in my normal scheduling that has not been ideal. At this juncture, due to my current case volume and pending year-end treatise deadline, the delay has now crept into uncharted territory where I simply cannot resolve the extended delay in a manner consistent with my internal procedures and service mission statement. I am currently scheduling return dates for QDRO-related projects through November, and have completely booked out each week between now and November. This has brought me to the point where, as to not distract from my client services but still complete my proof on time, I must dedicate the month of December toward completion of the treatise. That brings us to January, 2017. As of 8/22/2016, I have confirmed return dates for all flat fee and hourly projects wherein I have received both full payment and all requisite documents and information. Effective immediately, I will not be taking any new clients until I am caught up on scheduling, likely sometime after January 2017. Effective immediately, I will not be taking any new cases, nor will I be issuing new contracts, until January 2017. If you have already paid my fee in a pending matter where you are still compiling requested documents for submission, upon my receipt of all requisite documents and information, I will promptly schedule and confirm your flat fee or hourly project for a return date in November, and once November fills, then January 2017, etc. If you find that my current timeline is unworkable, I am happy to provide a full refund to the extent I have not already incurred any hourly or out-of-pocket costs. If you have not yet paid my fee in a pending matter, and if my current timeline is workable for you, I will continue to process and promptly schedule your flat fee and hourly project upon my receipt of payment and all requisite documents and information, but return dates for any such project will not be prior to January of 2017. My office will be closed for all matters during November and December of 2016. You should wait to contact me with your inquiries until January of 2017. For future planning reference, as well as a tool to help you gauge your client's expectations, I plan to resume updating my weekly scheduling page in January of 2017, and I will also email any scheduling updates for the remainder of this year. Please make sure you have subscribed to my blog for any additional email updates. While I realize my decision may create an inconvenience for you, a little soul-searching made my choice clear: I must balance the consequence of your short-term inconvenience with my overall quality of service and your long-term customer satisfaction. The treatise has been a labor of love, and your patience has enabled me to achieve a professional goal beyond my wildest dreams. However, I look forward to getting the book into publication and then getting back to my first love, QDROs. I could not be more earnest in my passion, and my mission to deliver (timely!) excellence. I hope that I will be your first choice when it comes to QDROs in the New Year. Veit touches on a point that cannot be overstated (of course, I think that about virtually every QDRO-issue, so this probably isn’t news to you). The point may seem somewhat ironic at first, the idea that a state domestic relations court might not have jurisdiction to determine certain marital property rights in divorce. Generally, of course, state domestic relations law does in fact govern the treatment of marital assets in divorce. However, when dividing and assigning retirement assets, state domestic relations law must yield and give deference to controlling federal regulatory and tax law. The result is often an explosive mix of state and federal law, with the two systems often in conflict. For this reason, the implications of dividing and assigning retirement assets to determine marital property rights, spousal support, and child support, often trigger complex and unfamiliar financial issues. One of the largest federal ‘jurisdictional nets’ comes into play with private-employer retirement plans. This is where I could spend the rest of the post discussing federal preemption and the interplay of family law with both ERISA and IRC. But I’ve got to get to Veit, which typifies another significant area wherein family law must yield to federal law: government-sponsored retirement plans (e.g., federal civil service, railroad, and military). I will save non-profit and state or municipal plans for another day. You’re welcome. In Veit, Husband appealed a post-dissolution order of the Carter Family Court addressing provisions of the USFSPA, and Wife’s right to collect a portion of Husband’s retirement pay should he predecease her. Husband and Wife were married for sixteen years prior to their dissolution in 2013. At the time of dissolution, Husband was retired from the United States Navy. With respect to Husband’s retirement benefits, the Family Court’s decree stated: “[Wife] is awarded that part up to the amount of 50% of [Husband's] pension from the United States Navy is (sic) much as federal and military regulations allow.” One year later, Wife filed a motion to modify the decree in order to clarify its reach by adding a specific provision affording her survivor benefit coverage associated with Husband’s retirement pay in order to protect her marital property interest in the pension. The family court granted the motion and ordered Husband to elect the survivor annuity. Husband appealed on the basis that while the USFSPA permits the state court to require a service member to elect to provide an annuity for a former spouse, such election must be made within one year of dissolution pursuant to the USFSPA. After careful analysis of the USFSPA, the Court of Appeals determined that although Husband failed to timely make the election in compliance with the family court’s order, Wife could now attempt to make her own request to the Secretary of the Navy pursuant to the USFSPA (referred to as a "deemed election"). For this reason, despite affirmance of the trial court’s award of the survivor annuity to Wife, the Court of Appeals aptly observed that the final word regarding the availability of any survivor annuity for Wife does not rest with the Court of Appeals. Rather the proper resolution of the dispute lies solely with the Department of Defense. That is because it is federal law – not state domestic relations law – that will determine whether Wife took the necessary steps, in compliance with 10 U.S.C. § 14509f)(3)(A), in order to timely preserve her marital property interest. In other words, ironically the Department of Defense trumps the state family court’s jurisdiction regarding its award of a survivor annuity intended to protect Wife’s marital property interest in divorce. I imagine the parties in this case are fairly unamused. The lesson here is that a practitioner must ensure that retirement benefits assigned in divorce – under the state court’s jurisdiction – are also assigned in accordance with other controlling law, and that the necessary steps are taken in accordance with other controlling law to obtain the court awarded benefits. The information provided through this blog is not legal advice and should not be construed as a substitute for consulting an attorney. Ownership of any posts or comments remains with the author. However, The Law Office of J. Eileen Zell, PLLC shall have a license in all content posted on this site and you agree to this license by posting or commenting to this site. Specifically The Law Office of J. Eileen Zell, PLLC will not have a duty to modify or withdraw posts and comments, but may do so in its own discretion. This blog does not collect any personal information for private use or distribution, but The Law Office of J. Eileen Zell, PLLC will cooperate with requesting authorities in providing any personal information provided by commenters.